The aims of the Club are to promote competitive and non-competitive boat and shore angling amongst all its members and young persons, to preserve fish stocks and to protect the sea environment. The Club may also provide other recreational and social events and information for its membership. The membership of the Club will consist of adult anglers, old age pensioners and junior anglers. In this context old age pensioners shall mean any member who has attained the age of 60 on the 31st December in the previous club year. A junior shall mean anyone under the age of 16 on the 31st of December in the previous Club year. The membership of the club is open to anyone who subscribes at the formation of the Club on the 13th November 2001 (to be known as founder members) and thereafter by being proposed and seconded by existing members and securing a majority vote at a Committee meeting. The affairs of the Club shall be administered by the following Committee and Officers. The Chair person shall at all times have a casting vote in the event of a tied vote. Two Auditors with no voting rights at monthly meetings. Officers and committee members shall be elected at the Annual General Meeting and shall serve for a term of one year unless re-elected. The Committees shall have the power to add to their numbers or fill any vacancies that may occur during the year for that year only. The Club financial year shall run from the 1st. January to the 31st. December. A record of the Club’s financial transactions shall be maintained by the Hon. Treasurer, examined by the Club’s Auditors and presented to the Annual General Meeting for approval. The Annual General Meeting will be held as soon as possible after the close of the financial year and the date shall be posted on the Club’s web site at least 2 weeks prior to the meeting. Minutes of the Annual General Meetings are to be recorded and read for approval at the following Annual General Meeting. Committee meetings shall be held as required. The date, time and venue to be arranged by the Hon. Secretary and notified on the club website. Minutes of committee meetings are to be recorded and read for approval at subsequent meetings. These will be available on the club website. A record of attendance shall be kept for each meeting. An Extraordinary General Meeting may be convened by no less than 5 Members by a written request sent to the Hon. Secretary, giving at least 21 days clear notice and by 14 days notice being given to members on the Club’s web site. The membership of any Member may be terminated by the management committee at a meeting called to consider the question of such termination of membership, due to misconduct, lack of interest or any other causes, which the Committee may consider to be just and sufficient reason. The member in question will be given the opportunity to be present at any such meeting. The majority required to execute such termination shall be two-thirds majority of those members present. Membership fees are due when membership is approved. Usually, this will coincide with the first day of the Club’s financial year. Members will be issued with a Club membership pass. Standing Orders are available for members to automatically pay their subscriptions at the beginning of the year. Those members joining the club after the 1st July will be charged £6 for that year. The members at the Annual General Meeting or at an Extraordinary General Meeting may vary annual membership fees. Any member whose subscription is in arrears shall automatically cease to be a member and shall not be entitled to the privileges of membership. Any application for re-election to membership must be accompanied by a remittance for any subscriptions that may be outstanding. These Club rules and constitution may be amended, deleted or substituted with a majority of two-thirds consent of Members at an Annual General Meeting. The management committee shall have power to decide any matter not specifically provided for in these Rules and to give decisions as to the interpretation of any Rule should the occasion arise. Members shall be entitled to participate in competitions and events organised by the Club. Failure to produce a membership pass if requested by a competition steward may result in disqualification. The Club does not and will not hold itself in any way responsible for accidents, personal injury (whether fatal or otherwise), loss of property, loss of income, or consequential losses to members or their guests whilst engaged in club activities. Winners of challenge trophies will give a satisfactory guarantee to the management committee as to its safe custody and return if necessary. These will be presented to the winners at a presentation evening held in the first quarter of the following year. The decision of the management committee on the award or otherwise of prizes and trophies will be final. Shore – From Preston Beach in the east to Branscombe in the west. Boat – Club waters are determined by the boat being able to leave Lyme Regis Harbour or a secondary port and return within a twenty-four hour period. Axmouth and West Bay are classed as secondary ports. In 2013 the Angling Trust published changes to the regional areas and altered some of the sizes and specimen weights of various species of fish for both Shore and Boat. For L.R.S.A.C. the Boat regional area would remain as “D” but because of Shore boundary changes, Monmouth beach was split into two areas “C” and “D”. The committee of the Lyme Regis Sea Angling Club considered these changes at length and decided on the following course of action. For all club matches and fish caught by members out of competition we retain the sizes that were used in 2012 and were published in a laminated sheet given to members at the beginning of the 2013 season. In this we have all decided to retain the original “D” regional area and specimen sizes for both Boat and Shore fishing. We have specimen weighted competitions and awards and it would be unfair to recalculate fish that were previously in the Top 20 competitions and Best aggregate specimen awards. For events that are open to all sea anglers, The Big Fish (Help for Heroes), The Big Bream Competition and any other open competition that L.R.S.A.C. decides to run we will adopt the new sizes and specimen weights initiated by the Angling Trust for area “D” only. Winners and placings will be judged on this format. Any fish submitted to the Angling Trust, Wyvern Regional and West Bay Sea Angling Club for individual Shore and Boat awards would be subject to their rules of the sizes and specimen fish for either “C” or “D” regional areas. 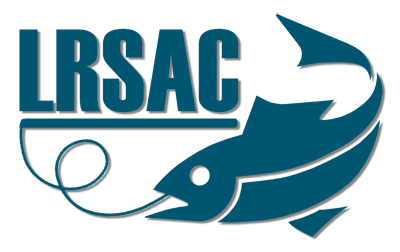 Club members would still have their fish recorded for club awards using the L.R.S.A.C existing “D” area. A list of these agreed sizes and weights is available in a laminated A4 sheet which also details the current records for the preceding year. If the club member is also a fully paid up member of the West Bay Sea Angling club their fish may be weighed in on a set of West Bay’s certified club scales during one of their competitions or when fishing for pleasure. Any fully paid-up club member wishing to register their shore and boat caught fish for Best Catch for that year (eligible for LRSAC club trophies) may weigh their fish on their own scales but those scales must then be checked against a set of certified club scales. The member will then be informed of the weight decided by the Trophy and Records secretary. LRSAC will consider the weight recorded provided any submission is recorded on the LRSAC Catch Return form giving full details of at least one witness. ALL the details must be entered on the claim form before consideration will be given to granting any award by the Fish Recorder. The claimant will have seven days to register the completed form with any member of the LRSAC committee. In any shore or boat competitions ONLY one set of certified club scales will be used. The weigh-in will take place at the conclusion of the competition. The decision of the competition officials is final. Any person taking part in a competition who wishes to use “catch & release”, may weigh their fish on another set of certified club scales. This weight is admissible for Best Recorded Catch for trophy awards but the weight cannot be used in the official weigh-in. This applies to both shore and boat competitions. Any scales used must be digital and capable of “locking” the recorded weight. Where a claim is made for a new club record ideally a photograph should be submitted, with the fish being independently witnessed. The digital scales used must be capable of “locking-out” if the fish is to be returned alive to the sea. This claim should be completed within seven days of capture. Any fish submitted for a national award should be kept and shown to the boat or shore secretary. The club will then advise on the procedures that need to be followed. It is recommended that all fish are photographed whenever possible. There will be a list of holders of certified club scales posted on the club website, with their contact information. Fully paid-up club members are encouraged to contact these committee members when they want to register their fish for Best Catch or club records awards. Sharks, Tope, Spur dogs, Smooth Hounds and Bull Huss are not to be weighed in but in future to be assessed for weight under Rule 20 of the Rules and Constitution. In the interest of fish conservation it has been decided that all of the above species of fish (not Lesser-Spotted Dogfish) whether caught from the shore or boat, in or out of competition, will now not be weighed on weighing scales. Instead the captor with a club witness present will measure the length of the fish from the nose to the tip of the tail in mm. The other measurement required is the girth (circumference) at its widest point taken again in mm. A digital picture wherever possible should accompany the specimen claim form. The fish should then be returned to the water alive. The Fish Recorder using the agreed formula for assessing the weight of sharks will then notify the captor of the weight that has been attributed to their catch. Unfortunately none of these assessments of weight procedures can be used for Wyvern and Angling Trust Awards. If the captor believes he or she has caught a National Record of the above species of fish then we leave it up to the discretion of the angler if they wish to kill the fish and have it weighed on digital scales for record purposes when they return to land. All boats whether licensed charter boats or otherwise shall comply with regulations laid down by the MCA, Coastguards, the Cobb Harbour Authorities or any other recognised regulatory body. All club monies shall be held in a bank account determined by the Management Committee and two authorised signatories shall be necessary for withdrawals or payments from the account. The Management Committee shall have the power to put surplus funds on deposit in a Bank or Building Society. The Management Committee shall have the power to reimburse officers for any reasonable out of pocket expenses actually incurred by officers provided they were authorised and wholly, necessarily and exclusively expended on the Club’s business. 24. BEST FISH AWARDS – IN OR OUT OF COMPETITION. Members can compete for annual Club cups and trophies which are presented at the Club’s Presentation Evening (held in first quarter of the following year). Claims can be made on catch return forms for fish caught in club waters (Rule 17) in or out of competition during the calendar year. 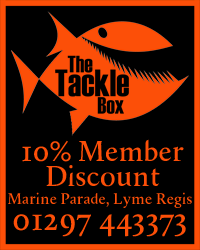 A catch return form is available on the club website or from The Tackle Box in Lyme Regis. Up to TWO rods with no more than THREE hooks attached to the terminal tackle (i.e. one rod with three hooks or two rods, one having one hook and the other rod having two hooks). A treble hook when attached to a lure, un-baited, counts as one hook. A two hook pennel rig counts as two hooks. Only ONE rod can be used at any time, any other rods to be un-baited and unrigged, preferably held in boat rod holders. A maximum of THREE hooks only to be used and for the avoidance of doubt an un-baited treble hook will count as a single hook. If a member believes they have caught the best (heaviest) fish of a particular species they can submit a catch return form. Any award can go towards individual cups and trophies which are awarded at the club presentation evening. Those fish exceeding a 100% specimen size will be entered for annual Wyvern and Angling Trust awards. If you decide to fish outside the criteria above i.e. fish with multiple hooks, use more than the stated number of rods for fishing of bait etc, then you immediately disqualify yourself from being able to enter a catch return form. The individual angler must make these decisions when commencing to fish; either to compete for club awards or to fish without award restrictions. Entrance fees shall be paid to the match stewards or any committee member. If none are available another member must be advised that you are competing PRIOR to commencing to fish. All Shore and Boat matches – the entry fee will be £1 with an optional pool fee of £2. The pool total will be split as follows winner 50%, runner up 33%, third 17%. Any award not made will result in the money being rolled over until the next match in the series and added to that pool. The money will paid over to the Club Treasurer who will hold the pool money until the presentation evening held annually, when all the prizes will be given out. The points allocated towards end of year trophies will be as follows: winner 5pts, runner-up 4 pts, third place 3 points, all others weighing in specified fish 2 pts, all others who have entered 1 pt. In all leagues the criteria of the match format must be met in full (i.e. Best Bass competition you must weigh in a satisfactory sized bass to claim 2 pts or more. Hand lines or casting other than with a rod are forbidden. The competitor must cast the line, hook the fish and land the fish. Assistance may be received by means of a gaff or net and in unhooking the fish. Junior members may receive assistance in casting. No catch will be accepted for weighing in after 30 minutes from the advertised time that the competition ends. Boats not in the harbour at the end of the specified fishing time may be disqualified. Catches must be weighed in at a specified venue. The committee or its appointed match stewards reserve the right to cancel or alter the venue, type of fishing or times of any competition before or during the competition should conditions dictate. A shore competition cannot take place unless a minimum of three members are taking part. A boat competition cannot take place unless a minimum of four members are taking part. Should a shore match not be cancelled but too few members attend (minimum 3 members as above) then any member attending should be awarded 1 pt. No match fees to be paid. Any competitor bringing undersized fish to the weigh in may have the weight of those fish deducted from the total weight of their catch. Any competitor not adhering to the competition rules may be disqualified. In the event of an unlisted fish being weighed in, the current specimen weight for the purposes of allocating the winner of any pool prize and points will be regarded as 75% of the current British record (excluding mini species). Registration for all Shore Rover matches will not be accepted more than one hour before the start of the competition. Registration for shore matches will close 15 minutes prior to the schedule start time of the match. During Club matches a facility shall be made for OAP’s and disabled anglers at the match venue where possible. Where no facilities are possible they may fish at a mutual place to be decided on the match day. The weigh in will be at the normal venue. When booking places on charter boats for matches, members must book their own places on charter boats at least two weeks before the competition date. Members not taking up or paying for their places will be liable for the full cost of their booking. All competitors are responsible for bringing their own bait. It is advisable that all those taking part have third party liability insurance or are individual members of the Angling Trust. Members are requested to keep fish alive when bringing to the scales as the club has a policy of catch and release wherever possible. Shore fishing boundaries are from Branscombe in the West to Preston Beach in the East. 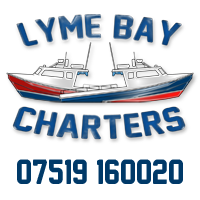 All boats in competition must not exceed a distance of 15miles radius from Lyme Regis Harbour. There are two separate trophies, one for shore and one for the boat, it is the responsibility of the member to record all the species of fish caught and inform the boat skipper or the shore steward of the in-size fish they have caught in the day’s competition fishing. For the purposes of qualification for the Boat Competition, Kayak’s will be classified as boats.